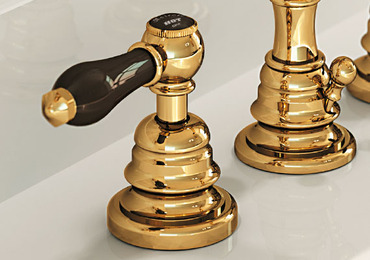 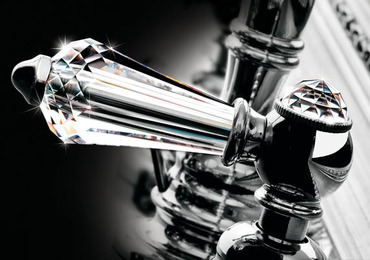 The Melrose 21 collection of dual-control mixer taps stands out for its harmonious and retro appearance, evoking the style of the Belle Époque. 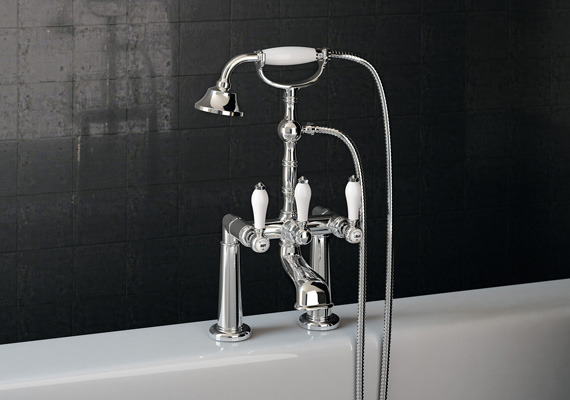 Melrose 21 three-holed tap sets have chunky rounded handles with two ceramic inserts: the lever that regulates the water flow and the plaque displaying the words HOT and COLD. 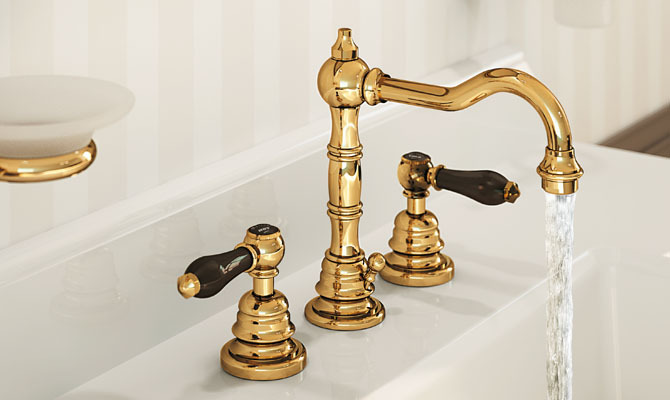 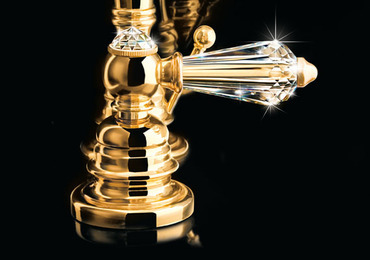 As well as traditional golden finishings and those with inserts of Swarovski® crystals, Melrose 21 is also available in Chrome & Black Ceramic finishing, with a chrome base and black ceramic detail on the handles, or Antique Gold & Brown Ceramic finishing, with an antique gold base and brown ceramic detail on the handles. 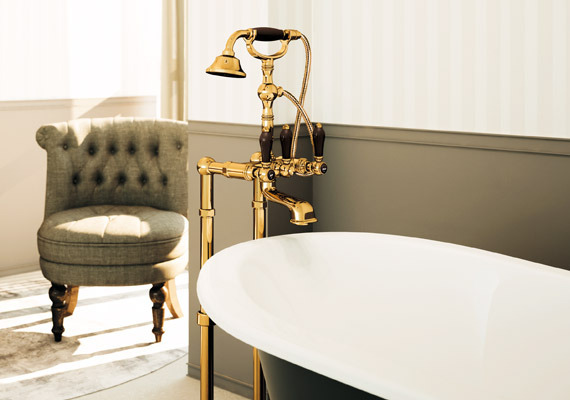 For the bathtub area, in addition to the wall-mounted solution, the Melrose 21 collection offers deck-mounted bath mixers with legs, as well as deck-mounted and floor-mounted bath mixers.